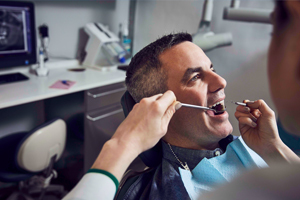 In honor of American Heart Month this February, we’re taking a look at an unexpected way to curb heart disease – visiting the dentist. It’s also important to know that having a dental plan can help. Most dental plans cover preventive services, such as exams and cleanings, at little or no cost to you. And people with certain medical conditions, like heart disease, may be eligible for enhanced benefits. These benefits may include coverage for additional exams and cleanings, periodontal maintenance and fluoride treatments. Think about your overall health and schedule your next trip to the dentist today.